Very soundly packed, everything is absolutely complete and not crumpled. Very flash device, I will order one tank again! 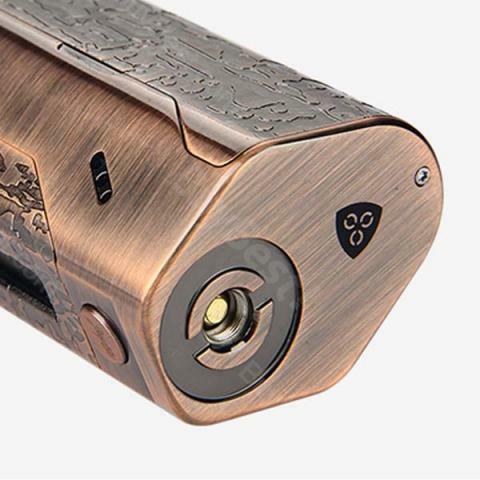 The button is pressed very easily, in the hand lies well, the sensations are pleasant! Very power saving, I think it will be enough for a full day on a cigarette! 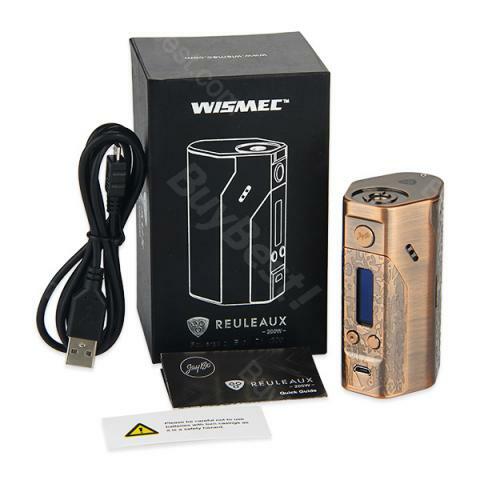 Wismec Reuleaux sieht sehr schön aus Edel vorallem. Die E-Zigarette ist sehr gut verarbeitet, liegt gut in der Hand durch den ergonomisch Griff. 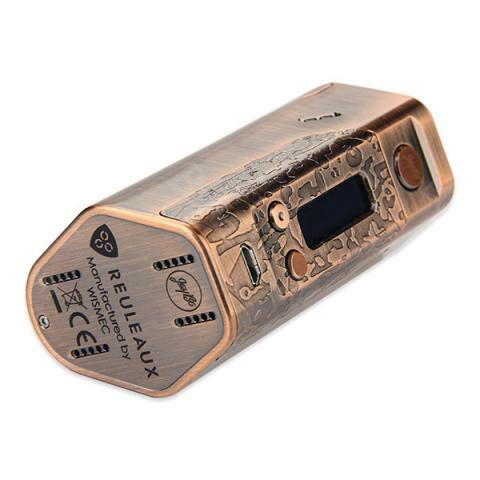 Wismec Reuleaux is a high quality box mod with famous DNA200 chipset. It's convenient to take along. 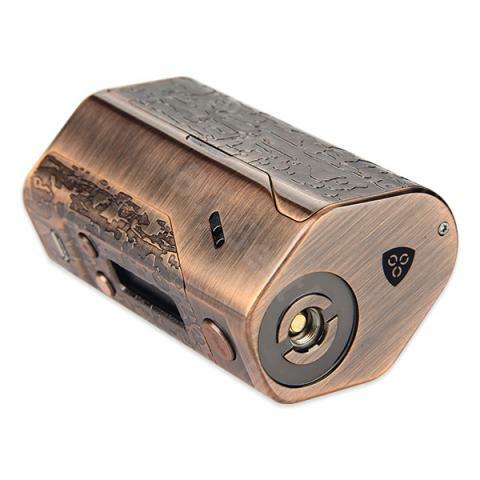 Wismec Reuleaux DNA200 TC Mod, featuring DNA200 Chip, is the new highlight of Wismec with limited quantity. 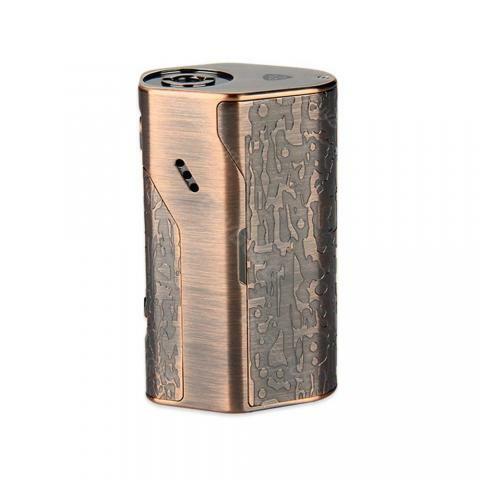 Unique 3 x 18650 cells design and advanced TC technology makes it stand out from mainstream products. 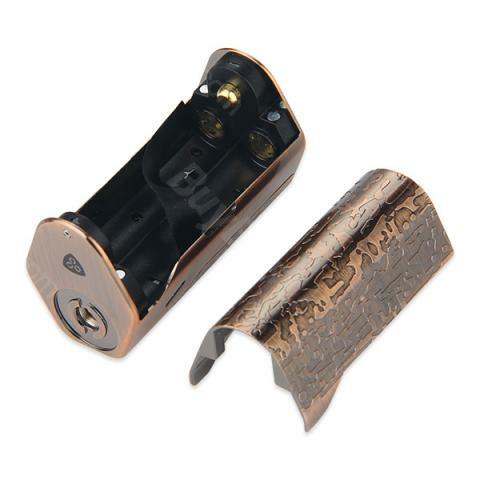 You'll have a wonderful vaping experience with the 200W VW/TC Kit. Power on/off: press the fire button five times in quick succession to turn it on. In the same way, it can be turned off. Charging: You can take out the lithium-batteries from the device and then charge the cells. Moreover, it can also be charged via USB cable.